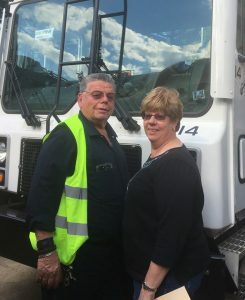 Lou and Vanessa own a trash hauling and recycling business in PA. Fleetway Capital has been providing our financing service to a majority of their fleet. One of their newest vehicle is a 2004 Mack front loader. Most banks would have problem providing financing for the vehicle due to its age. However, Fleetway Capital Corp understands the value of the vehicle and was able to provide approval within 1 business day. A full service leasing-financing firm, Fleetway Capital ensures that the whole funding process go smoothly and quickly. To many entrepreneurs, getting funding for their first vehicle is usually the hardest and most tedious task. But no worries, at Fleetway Capital, we look at your application beyond your business record. We can help providing lease-financing service to businesses operating for less than 2 years by utilizing personal financial information. Nelly is a proud owner of a bus service company. 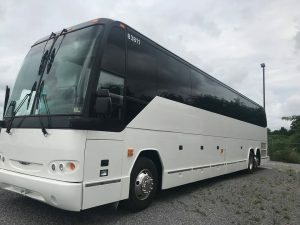 After many rejections from other banks and financing services, she came to Fleetway Capital Corp. We were able to help her getting her first bus financed – a beautiful 2004 Prevost within 2 business days. If you have been in the industry for a while and looking to start your own business, give Fleetway Capital a call, we can help you!